Take back your lunch hour! Enjoy a relaxing lunch while our pet care professionals take your pup for a walk in the park. in the northwest suburbs of Chicago since 2004. Whether you need dog walking while you are at work, pet sitting in your home while you are on a business trip, training for your new puppy or boarding while you are on vacation. 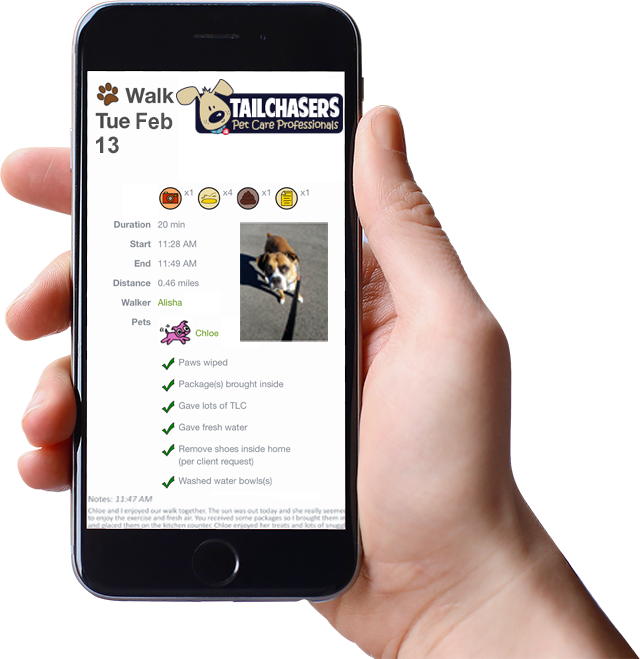 Rain, sleet, snow or shine… Tailchasers has your pup in mind. Now Offering Boarding and Grooming Services! Do you worry about your dog walker or pet sitter showing up? Rest easy knowing you will receive a detailed email summary every time your pet care professional visits your home. You can feel confident knowing our pet care professionals are caring for your pets. Each home is assigned one primary pet care professional, so your pet can develop a great bond and relationship with their new Tailchaser friend. I have to say we are super happy with your service. Kim has been awesome and even brought in garbage can and closed our blinds while we were gone. Most importantly she took incredible care of Fritz!! We’d definitely recommend you to others and have already mentioned your company to a neighbor. Thanks for everything and being flexible with our non-standard schedules!! 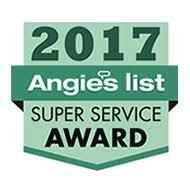 I wanted to take a moment to thank your team for the continually phenomenal care Rudy has received over the last year and change. Russel has done an amazing job, and Rudy will definitely miss her afternoon walks with him! I’d like to take this opportunity to thank you for taking such good care of Penny and Peanut and for always being flexible. 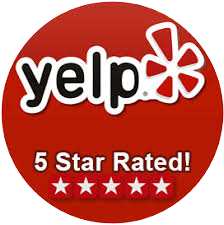 I will continue to recommend your services whenever I get a chance. Please thank Janet for taking such good care of my kitty. I am grateful for her communications each time as well. So good to have your service as my back up. I will be sure to refer my friends and neighbors in the area should they need you. This is one of the best companies I’ve ever found. Matt and Randa are extremely professional and know dogs. For the last five months, I have had a daily dog walker come and spend time with my two dogs. I haven’t had a single issue with doors being left unlocked or the dogs not being treated well. The systems they have in place are well-thought out and they deliver on their promises. Great company. Janet did a wonderful job with our cats. They’re both very shy, but one of our very shy cats, Luke, came out for her a number of times. She did wonderful work. Thanks so much! Thank you Alyssa for being so attentive to our special little friends! We will definitely be using Pet Heroes in the future and will happily recommend this service to our friends. As always, we adore Allison and Tailchasers! You are all the absolute best and we tell everyone we know about you! Thanks so much!! Ravi has been fantastic! Kingston has been acting like a whole new dog since he started getting walked mid-day. I just wanted to let you know how happy we are with Tailchasers! We love the updates from Mr. Burke – he is so witty and does a great job relaying how the dogs are as well as what he’s done with them! It is so nice knowing they are in great hands. Also, thank you again for accommodating our last minute change in travel plans! We also wanted to say that Alisha is absolutely wonderful. We are very happy that she is Ally’s dogwalker. We just wanted to say thank you so much for the service that you provide. Eric was the petsitter during our recent visit with friends. He did such a wonderful job! He must have some really special cat magic; both of our cats are very shy and do not typically come out for strangers. Luke hid on the first visit, but then consistently came out to visit with Eric, and Issac came out occasionally. We were so happy about that! We love the new check-in system, and enjoyed seeing pictures of the kitties. Thank you also for your continued flexibility. I have been singing your praises to anyone that I know in the area with pets, especially commenting about how easy you are to work with and how you will also try to accommodate last minute changes! Please tell Alisha how appreciative we are of the loving care she provided to our pets while we were away. We were warmly greeted by Ilsa and Luci while Terror is blissfully sleeping in a sunny spot. Thanks again for all you guys do! We love Tailchasers and Jon is great!